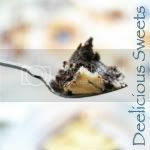 Deelicious Sweets: Deesert Blog Hop! Who's up for a Dessert Blog Hop Party? 3. Vote for your favorite by clicking 'Like'. That's it! The party will be over next Tuesday, August 8th. at 11:59 pm. Just link up now! Man am I hungry. Sorry I accidentally posted my dessert twice...I didn't mean to and I am not sure how I did it. Anyway thanks for hosting this hop...I have to go check out some more desserts. Good thing I have "a few" dessert collection. You know me, I don't make desserts! =P It was fun uploading pictures to your site. Thanks for hosting this! So many delicious dessert here..
extremely well written article. I'll be sure to bookmark it and come back to read more of your useful info. Thanks for the post. I will definitely comeback.